Number 71 is the new kid on the block within Haworth's world famous cobbled street. Licensed to sell wonderful things you will find unusual and sought after gifts and art for all ages and pockets and all occasions. The wondrous delights are constantly changing so it will be like a new shopping experience each time you visit. 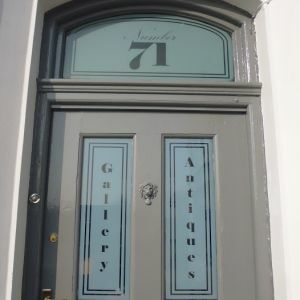 They have a number of cabinets all leased by different antique dealers and so the choice is wide from jewellery, fine porcelain, silver, collectables and more. There are a very limited number of cabinets also still available to rent to dealers or private individuals who are looking for a cabinet to sell their quality antiques to the our discerning clientele.Kris Hird was raised in the North of England and has now started to exhibit his unique photography at number71. His work has been sold throughout the country but this is the first time he has set up a permanent exhibition.His work is always sold on a limited edition basis and never more than 250 pieces of his individual art are sold, some of the pieces are limited to less than 100. Opening times can change at short notice. Please call ahead to confirm opening times if you are making a special visit.